Discussion in 'Automobilista - News & Announcements' started by Renato Simioni, Oct 1, 2017. Hello everyone! 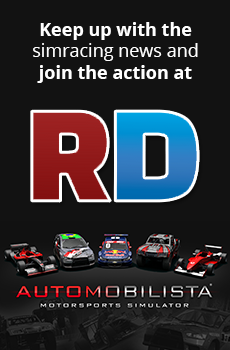 We´ve got another update for you, this time sharing some news about the upcoming V1.4.8 release, and some of what´s coming up next as we approach v1.5.0 and the definitive version of Automobilista. A combination of things taking a bit longer than expected, some unforeseen issues demanding attention along with valuable improvements that we´ve found to be within reach have led to AMS development stretching a bit further still. All for the better though as it means AMS should end up in even better shape! The next DLC will bring several "oldies" to AMS - the TC Classics are some of the cars that have made history in brazilian tourinc cars through the decades. All series feature the 4 models in a wide variety of configurations presenting very distinct challenges. Special thanks on this one to the good people involved with the Copa Classic championship who have been super friendly and very helpful with information. It´s very hard to find data for these cars, specially the older ones from the early 80s so having people who have lived through this history be so engaged is both and a very pleasant experience. The series is based in the southern state of Rio Grande do Sul which has some of the strongest motorsports culture in the country - it has been a great experience to get to know it better. There are some other interesting models that some are sure to miss not being included - unfortunately we we had initially set out to do only 3 Hot Cars models and ended up going further with 4 models and a bunch of variations covering 4 different series, so we´d already stretched our schedule for it as much as we could. It´s not out of the question though that some new "old" models will be added further down the line. We have also increased rate AI assesses situations by 4x which should result in more appropriate behavior in several racing situations - this makes it much less likely the AI will get confused and veer off the track, or not "see" a car coming up alongside. We´re hoping we have a fix for the recent DynHUD issues that came up for Windows 10 users following a recent system update included in v1.4.8. In any case we´ll be also looking to improve some remaining niggles with DynHUD and also beef up the native HUD a bit more as an alternative. Following v1.4.8 we´ll be on the final stretch to the definitive version of AMS - at the moment we´re still undecided on whether there will be a public v1.4.9 or if we´ll go straight to v1.5.0 - depends on the rate of progress we manage next month. @Niels Heusinkveld and @Luis Miguel have been working on finalizing the turbo model and it will be included in time for v1.5.0, including updated physics for all turbo cars in the sim to use the new model. @ilka has been working on an update to the modern Spielberg track, to include the latest reforms since the track was originally modelled. Although the track hasn´t had its layout altered, there are several curb and run-off changes, a new grandstand in the home straight along with other cosmetic modifications. That´s all for this month - hope you all enjoy the coming update! Amazing how you keep improving every single aspect of the game! Looking forward to all these goodies! Curious to try out the TC Classics: this is really unusual, and not content I would expect from any other sim! You already made me discover the Stock cars (old and modern), the Vee, and so many unknown brazilian tracks; this is what I like about your games! Just a bit sad hearing about the final AMS; even if I know the journey will continue... The AMS development has been amazing, you really went further any expectation I had! How far away you reckon is v1.5.0 ? Looking forward to it! Thanks fellas. It's great to see how each update brings something meaningful to the game! Is this the last DLC for the game? Thank you thank you thank you! I bought 2 more AMS keys just to support further development. Is the DLC still due for today? Especially the AI work has been a huge improvement and if they start to take blue flags into account as well that will be great, this is some of my favourite AI to race against. beef up the native HUD a bit more as an alternative. But...can I ask you guys to make real a poor guy wish? Can we have the lcd window with a fixed height? ...and what about tires/brakes on "car status" page back? Why non-DynHud users shouldn't have those kind of information? Is not the classic update coming out in beta? Nice improvements. I really hope you can add much more valuable data to the DynHud, or preferably the native HUD. I dont have a race engineer to tell me if the the tyre pressure and camber are absolutely spot or as best as it can be for the session, yet GID hud pluguin has better UI options and its reading the data from the game so the native could be far better. I would rather use a native UI, as third party apps are post process like overlays and are prone to glitch badly using 21:9 triples. You can use crewChief, it's a pretty useful tool! I have a question, of a long time ago ... The 'tire flex & wing flex' that were seen in a video of GSC Extreme, will not be included in the Automobilista v1.5? Thanks! Maybe it's just impossible, I know it is just a selfish profound desire and you guys were amazing during all the development of AMS, so much content, so much satisfaction!